The recession of the early 1980s triggered the rising murder rates of the past 25 years, a new report claims. The Crime and Society Foundation study analysed the social backgrounds of the 13,140 murdered between 1981 and 2000. Professor Danny Dorling found a link between rising murder rates and the number of young men leaving school at a time of mass unemployment. Feelings of hopelessness and a lack of opportunity "bred fear, violence and murder," Prof Dorling concluded. According to his chapter of the Criminal Obsessions report, the risk of being a murder victim in England, Wales and Scotland rose sharply over the period for poor men of working age. But it fell for all other groups, including women. 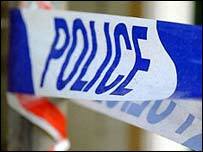 There were an average of 12.6 murders per million of British population over the 20-year period. This went up to 17 per million for men and fell to nine per million for women, researchers said. Prof Dorling, of Sheffield University, also found people in the poorest areas were six times more likely to be murdered than those in the richest. This is because poverty is the "key component to what makes one place more dangerous to live in as compared to another", he concluded. "The poorer the place you live in the more likely you are to be murdered." While the top 10% richest Britons are now 4% less likely to be murdered than in the early 1980s, the report said the poorest 10% are 39% more likely to end up as murder victims. But guns are involved in a larger proportion of murders in well-to-do areas than in poor ones, the study found. BBC home affairs correspondent Danny Shaw said critics will argue that murder rates were rising before the 1980s, and that the theory does not take into account increasing drug use and other changes in society. Prof Dorling also suggested the rate of murder represents only the "tip of an iceberg of violence". "The rate of murder in Britain can be seen as a marker of social harm," he said. "The rate has risen most for those demographic groups and in those areas, for whom and where people have become relatively poorer over time." Director of the Crime and Society Foundation Richard Garside said certain categories of crime, such as murder, tend to grab our attention. "The result is that we overlook crimes and other harmful behaviours that are actually far more damaging to our society. "To redress this imbalance we need to address our obsession for applying criminal justice solutions to complex social problems and develop a broader perspective on what actions and activities cause the most harm and damage," he said. His comments were backed up by fellow researchers Professors Paddy Hillyard and Steve Tombs whose opening chapter: 'Beyond Criminology?' subjected the impact of criminal justice on crime to scrutiny. The professors argued that "criminal justice systems are ineffective" because they only deal with "minor and petty events". Conversely crimes such as domestic violence, sexual assault and corporate crime are rarely tackled by the courts, the chapter's authors argue. Instead of a narrow court response, they argue for a system which would allow an "enhanced ability" to consider the underlying rather than the superficial causes of various harms.